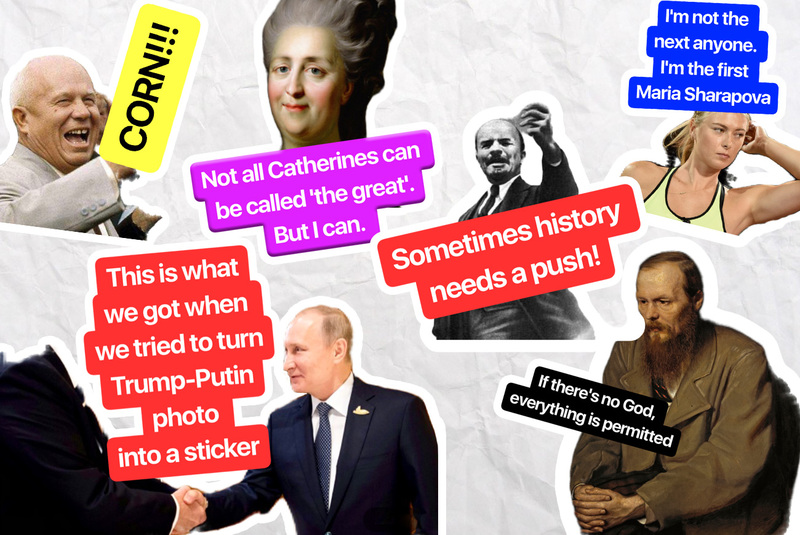 You didn't think you needed stickers of famous Russian faces - until now! "Sticky" is a new mobile app by Prisma team. Add your own selfie, or pepper your friends with Putin and Tolstoy. Russian startup Prisma had made a new app called “Sticky” (www.sticky-ai.com) enabling users to turn selfies into stickers for sharing on messenger apps. The developers say the app will be available on both iOs and Android. Prisma has already made waves online after uploading an app that turns selfies into a work of art. No more than ten days after it launched, more than 200,000 photos were published under the #prisma hashtag. The app transforms an ordinary photo into a “painting” in the style of Vasily Kandinsky or Mark Chagall. It’s even possible to choose a Marvel Comics superhero. According to techcrunch.com, there were around 70 million downloads in the first few month. After gaining popularity on Facebook and Instagram, the Russians behind Prisma are hoping to conquer the likes of WhatsApp, WeChat, Apple’s iMessage, and Telegram – each of which uses countless emojis, stickers, and GIFs. (RBTH has even created its own collection of Romanovs tsar family stickers – don't forget to download them here). “Sticky” will allow users to add captions to their selfies, as well as overlaying the image with colors and filters. The developers also promise animated stickers and GIFs. Read more: How did Telegram become Russia’s hottest new media in politics?